Forest Park House is a four-star Irish Tourist Board approved House. This house is located on the grounds of the original classical columned Gate Lodge (1810) which was once part of the Rockingham Estate now Lough Key Forest Park. Helen your host is a graduate of the Irish hotel and catering institute, and we have been welcoming guests for the past 40 years. Forest Park House is in a great location on the N4 at the main entrance to Lough Key Forest and Activity Park. Situated in the picturesque Co. Roscommon country-side, surrounded by woodland, built on the prestigious Gate Lodge which once gave access to the former Rockingham Demesne. While Forest Park House is a new, purpose built guest house, contemporary in design it boasts magnificent mature and manicured lawns and gardens with constantly changing colours conforming to weather and season. It consists of six bedrooms, guest lounge and dining room. The Guest lounge with its open fire place, is opulent and comfortable with rich and luxurious fabrics, comfortable seating, multi-channel flat screen TV, and a library of books and brochures of local interest making this room a place to relax and unwind in the evening. The Dining Room with double doors leads to the garden patio is nestled in landscaped mature gardens and woodlands. Guests have Individual dining tables each with linen tablecloths and can choose from an expansive buffet table along with the traditional Irish or continual breakfast. 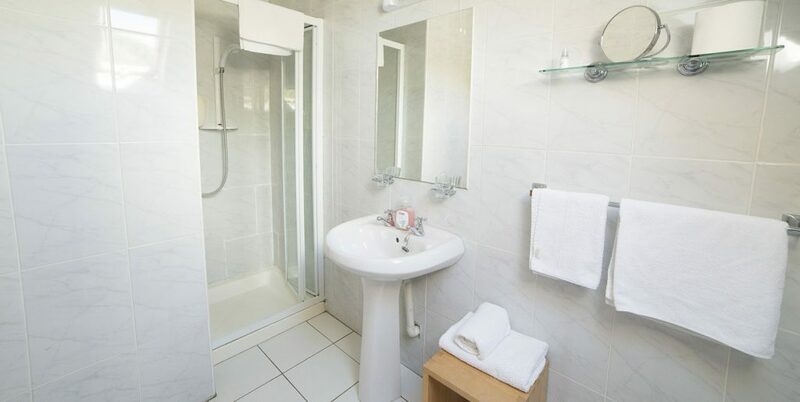 All bedrooms have en-suite facilities with luxury toiletries provided for your convenience. The bedrooms are located on first and ground floors unique in their design but all are comfortable, contemporary, airy and spacious. The bedrooms are bright, airy and spacious with panoramic views overlooking mature, manicured gardens.